Can you imagine light that can glow without using electricity? That's what these researchers from Syracuse University are trying to create and they're using the bioluminescence of a firefly to make it happen. It means that perhaps sometime in the future, these firefly lights could replace LEDs and not need any power. How does it work? 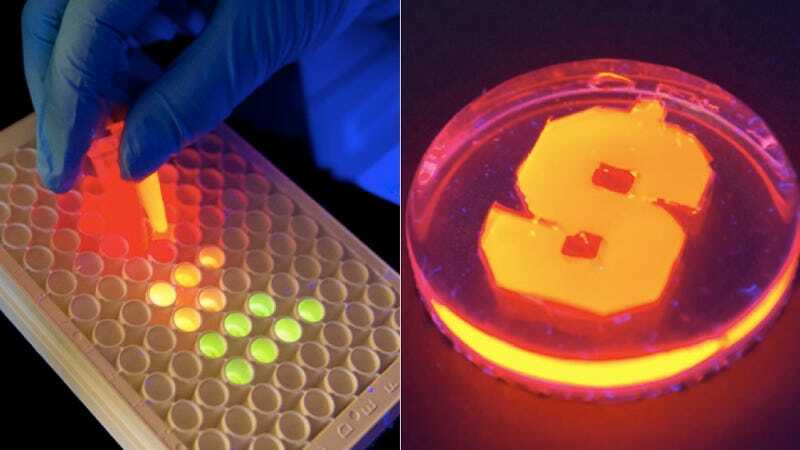 According to Mathew Maye, assistant professor of chemistry at Syracuse, the research team was inspired by the natural light-up power of fireflies when they "found a new way to harness biology for nonbiological applications by manipulating the interface between the biological and nonbiological components." The way a firefly works is that the chemical reaction between luciferin and luciferase spark light. Maye and his team attached luciferase to the nanorod's surface and adds luciferin as the fuel to light things up.